From the mystic East, Taylor of Old Bond Street took a complex rich woody blend of exotic sweet scented sandalwood and cedar, added lavender and rosemary with subtle floralcy and jasmine and rose, for a vivacious, enticing, confidently masculine bouquet. Passed down from generation to generation in the Taylor tradition. 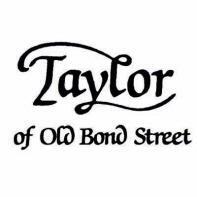 From the world famous Taylor of Old Bond Street, manufacturers of fine shaving products since 1854. Taylor of Old Bond Street Sandalwood Cologne has never, and will never go out of fashion, long lasting and containing a masculine medium light scent. Long lasting, subtle, manly - an amazing scent. This classic Cologne has been a favourite for generations of men around the world. Outstanding value for money too. However, it is only one of an array of colognes and aftershaves that we stock. Click here to view our other fragrances.